The growing threat that looms in response to terrorist activities or incidents has exponentially grown over the years. More and more terroristic acts have occurred throughout the world, in what seems to be an alarming rate, has forced the United States to take action in preparation for a potentially heinous act on our Country. Weapons of Mass Destruction are at the forefront of concern for the government and government officials, these weapons pose a tremendous risk to a large population of people and potentially even an entire country, depending on the WMD deployed. In order to combat these extremely dangerous Weapons of Mass Destruction, the U.S. Government has implemented a number of different measures to enhance the Country’s ability to deter, prevent, respond to, and recover from terrorist activities within the United States. 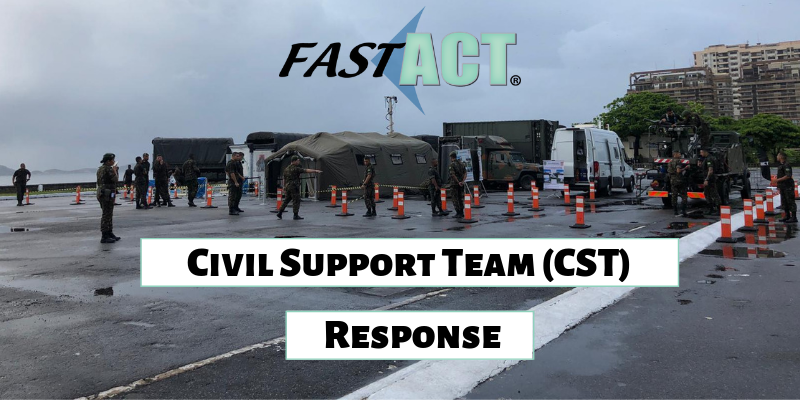 Therefore, the U.S. developed a team called the Civil Support Team (CST) as a high priority response unit supporting civil authorities in responding to a weapon of mass destruction (WMD) situation. The mission of a Civil Support Team is to support civil authorities at a domestic CBRNE (Chemical, Biological, Radiological, Nuclear, and high-yield Explosives) incident site with responsibilities such as identification and assessment of hazards, advice to civil authorities, and facilitating the arrival of follow-on military forces during emergencies and incidents. Each member of the CST provides unique capabilities, expertise, and technologies to assist the governors in preparing for and responding to a CBRN situation. These teams are available 24 hours a day, 7 days a week for rapid deployment for any response operation. There main mission is consequence management support for an incident or attack involving weapons of mass destruction – this occurs after an incident has happened in the environment or post-incident. How Many Civil Support Teams are There? The United States Civil Support Team is designed to support an immediate and quick response to any and all major population centers within the U.S. In total, there are 27 Civil Support Teams that place 90 percent of the country’s population within 250 miles of a team. When stationing these teams there were several factors considered including transportation access, facilities, proximity to airlift, and the closeness to other state and regional planning organizations. These teams are each composed of 22 highly skilled, full-time National Guard members who are federally resourced, trained, and exercised. The Civil Support Team consists of six sections: command, operations, communications, administration/logistics, medical, and survey. The 27 teams that are composed of Civil Support Teams are located in several states including Colorado, Georgia, Illinois, California, Massachusetts, Missouri, New York, Pennsylvania, Texas, Washington, Alaska, Arizona, Arkansas, Florida, Hawaii, Idaho, Iowa, Kentucky, Louisiana, Maine, Minnesota, New Mexico, Ohio, Oklahoma, South Carolina, & Virginia. The Civil Support Team for Weapons of Mass Destruction was/is designed to provide a specialized capability to respond to a CBRNE incident. The teams respond under the authority of the governor and provide both the state and local agencies with any intentional or unintentional release of CBRNE agents or natural disasters. Although CST does provide assistance to large-scale situations and disasters, they also have the capability to respond to and support smaller-scale incidents where specific technical capabilities are required. The functions associated with Civil Support Teams includes identifying CBRNE agents and substances, assessing current and projected consequences, advising on response measures, and assisting with appropriate requests for additional support. Identifying CBRNE agents and substances is among the functions conducted by the Civil Support Teams. They use assets to detect, characterize, identifying, and monitor any unknown CBRNE agents & substances. By utilizing multiple detection technologies, the Civil Support Team is able to generate the best possible analysis to identify the agent in the field. The members of CST utilize sophisticated detection, analytical, and protective equipment that allows them to operate in many different situations involving both TIMs and CBRNE materials. CST also uses some of the highest standard PPE (Personal Protective Equipment), such as Occupational Safety & Health Administration (OSHA) Levels A & B. These levels of PPE provide members with more extensive protection than the PPE utilized by most military units. Assessments from the Civil Support Team need to occur prior to, during, and after an incident. These assessments take place with both local, state, and federal response organizations to properly ensure that the CST is successfully integrated with local and state emergency plans. When they undergo assessments, they are able to support both deliberate and crisis action planning for any type of incident. The Operation Center (OPCEN) for Civil Support teams collect a variety of information that will include valid & appropriate sources, identification of critical & necessary information, and then evaluating the collected information to aid in determining threats – this includes hazards, risks, possible course of actions (COAs), possible targets, potential probability of an attack, etc. Based on the assessments conducted by the Civil Support Team, they will create Standing Operating Procedures (SOPs) and Response Plans for situations. The Civil Support Team after utilizing the identification & assessment results, will than advise the incident commander (IC) and those emergency responders on the potential hazards and countermeasures associated with both the intentional and unintentional release of CBRNE or natural disasters that could result in catastrophic lost. When advising on response measures the CST will cover the key methods for protecting and mitigating potential loss of life, damage to critical infrastructures, and/or extensive property damage to private property. Emergency response implements this advice to assist emergency responders and authorities to tailor their actions to minimize the impact of an event. The last function of CST is to provide assistance to the IC by giving input on the capabilities and utilization of assets that are currently gathered at the incident. The Civil Support Team offers an extensive background, specialized training, and scope of liaison between local, state, and federal agencies – and because of this they provide a much larger view of the specific assets and capabilities available to emergency responders. The training required for a Civil Support Team member consists of both military and civilian emergency response training. These trainings and instructions are provided from several DOD schools, and agencies like FEMA, DOJ, EPA, and DOE. Altogether the members of CST will receive more than 600 hours of high-tech training with topics covering planning, management, individual and collective training, goals, doctrinal aspects of training programs and how they relate to Civil Support Teams. A Civil Support Team is equipped with high-end detection, analytical, and protective equipment, as well as satellite, secure and cellular communications to provide communication with both civil and military forces. They are required to maintain PPE that are far more intricate than those PPE provided to military members. Chemical weapons contain chemical agents or materials intended to kill or severely hurt a group of people. Terrorists have already showcased their capability to use chemical weapons in a terroristic act against their enemies, and therefore preparation for these types of attacks is vital for Civil Support Teams. In part of preparing for this type of situation, it is necessary to have on hand a chemical decontamination solution equipment to aid in the neutralization of a chemical agent deployment. FAST-ACT is a proprietary formulation of non-toxic high-performance materials that are effective at neutralizing a wide range of toxic chemicals with the added capability to destroy chemical warfare agents. 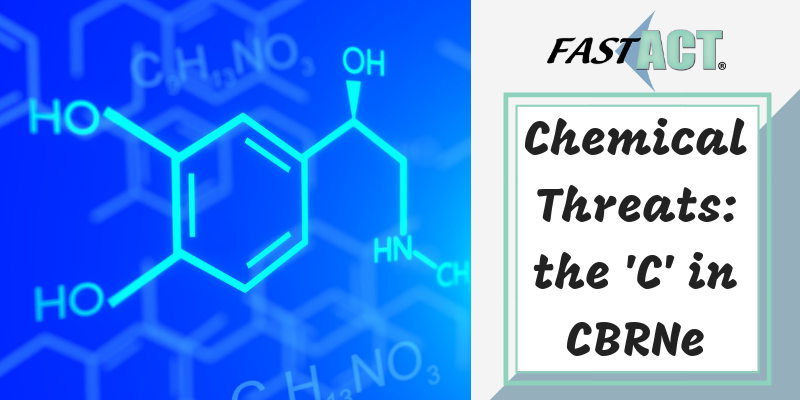 The FAST-ACT technology works quickly to reduce hazards associated with common industrial chemicals including acids, acidic/caustic gases, organic compounds, phosphorous and sulfur compounds, and many industrial solvents. 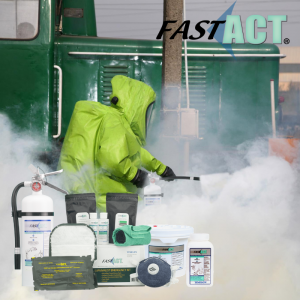 FAST-ACT is provided in a variety of applications including pressurized cylinders for liquid and vapor hazards, manually dispersed containers, kits for liquid hazard treatment, and mitts for equipment and small-scale decontamination. 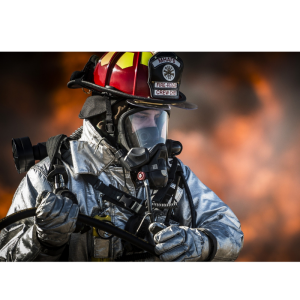 Best of all, FAST-ACT can be applied to any liquid spill or vapor release enabling Emergency Responders to utilize one technology when faced with a wide variety of known or unknown chemical hazards. Hazardous materials teams are constructed in each state, sometimes in several different cities to provide citizens with an experienced team to handle any sort of hazardous material incident that has taken place within the area. The primary goal of a HazMat team is to provide the local area assistance in an emergency situation involving hazardous materials and weapons of mass destruction. The assistance provided by a HazMat team can take several different forms depending on the incident on hand and how severe it is to the environment and public health. A HazMat team is composed of an organized group of individuals who are trained specifically to handle hazardous materials incidents, with each member contributing different skill-sets to the operation. Included within this organized group are individuals called Hazardous Materials Technicians. Hazardous Materials Technicians are trained individuals who are taught to respond to a hazardous materials emergency in an offensive fashion. Their primary role is to stop or control a spill or release by approaching the point of the release using specialized PPE (Personal Protective Equipment). When a HazMat team responds to a chemical spill, the Hazmat Technicians are typically members of the responding HazMat team, often times they are referred to as Spill Response Teams or Emergency Response Teams. These emergency responders are there to respond to both emergency and non-emergency calls. HazMat technicians are technically trained and skilled to respond to, mitigate, prevent, and at times clean-up hazardous materials and/or chemical, biological, radiological, and nuclear weapons of mass destruction incidents. 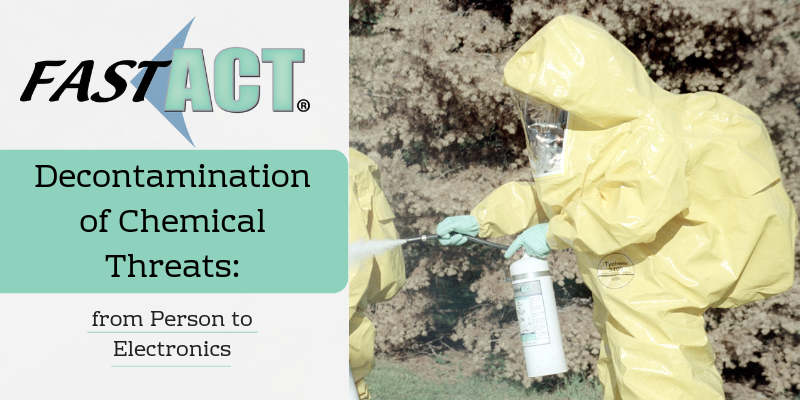 What Does a HazMat Technician Do? Ultimately, these individuals are there to respond to emergencies that involve dangerous substances that can potentially be life-threatening within an environment. When a technician responds to an incident, they are responsible for identifying the hazardous materials and deciding how best to dispose of them. Some of the commonly handled materials that these technicians handle includes asbestos, lead, mercury, mold, radioactive waste, and nuclear waste. HazMat Technicians also need to have a basic understanding of chemistry, since they are responsible for identifying substances, they have to know the chemical, physical, and toxic properties of the materials. Without this knowledge they will be unable to determine the safest method to removing, transporting, and disposing of this hazardous materials and waste. The risks posed to those who work as a HazMat Technician can be significant, thus it is necessary for them to take precautions while working. Wearing appropriate protective clothing is essential, as these dangerous substances can be extremely harmful to human exposure. Hazardous materials response is identified by three different levels; Level 1, Level 2, & Level 3. Response organizations have established a “tiered response plan” to help organize the severity of an incident. Each level is represented by individuals and/or groups of people and their level of training, expertise, capability, and equipment/resources. A level 1 incident is one that involves hazardous materials that can be contained, extinguished, and/or stopped using resources immediately available to public first responders. These incidents are low risk and present little hazard to the environment and/or public health, especially during containment or cleanup. This level is usually classified as minor situations with the capabilities of first responders that are trained at the operational level to be able to handle the situation. Typically, a level 1 incident involves either the release of a small amount of gas, liquid, or solid of an identified hazardous material. This operational level first responders contain both the expertise and proper equipment to safely mitigate these incidents. A level 1 is progressed to the next level, level 2, when a release or potential release of an unknown hazardous material or suspected hazardous material occurs. A classified level 2 incident is one that involves hazardous materials that are beyond the capabilities of first responders on the scene of the incident. These types of incidents range from a small incident involving any amount of an unknown substance to a large incident involving multiple agencies and jurisdictions. Level 2 incidents are declared by the Incident Commander and the Initial Response Team – for instance, if the incident scene contains a sufficient quantity of gas, liquid, or a solid that is a known hazardous substance and/or any quantity of an unknown material that has been released. Control zones should be established and maintained early into the response of the incident, and these zones should be evaluated and monitored throughout the entire incident. Examples of a level 2 HazMat incident includes a major gas leak due to a puncture of a large tank, a vehicle or train fire involving hazardous waste, chemical releases that pose a moderate threat to the environment, and suspicious packages that contain an unknown material. Lastly, a level 3 incident involves hazardous materials that are beyond the capabilities of a single state or regional response team. This type of classified incident may be quite lengthy in duration and may require large-scale evacuations. When multiple agencies and jurisdictions are involved it is likely to be labeled a level 3 hazardous material response. Many times, during a level 3 incident, resources from private sectors including chemical manufacturers and voluntary organizations are utilized to control the scene. Examples of a level 3 incident includes a large release from tank cars, incidents involving large-scale evacuations, any incident beyond local capabilities and resources, major leaks, and large-scale or catastrophic releases of hazardous materials. In hazardous situations, it is important to recognize that any incident can involve chemicals. Although the regular use of “hazardous materials” throughout the HazMat community, the term “chemical” is a more appropriate term. As a result, the misconception among first responders is that many chemicals that are found in the incident scene are not a problem because they are not a “hazardous material”. However, that is far from the truth, as the potential hazards present to the environment and public health from the results of chemicals can be significant and sometimes even deadly. All chemical products have some dangerous characteristics that first responders must be prepared to investigate further. In some cases, chemicals can be the original source of the incident, either through an accidental release, mishandling, or a planned chemical attack. 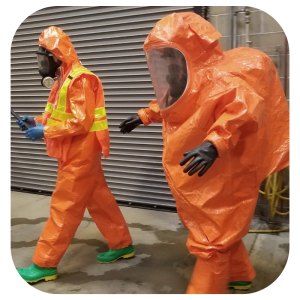 When HazMat personnel come across an incident involving chemicals, there will be a few tell-tale signs such as a detectable odor, visually observable characteristics, and reactions from those individuals exposed to the chemical in the air. In the process of containing and decontaminating a chemical release or incident, Technical decon is established by the HazMat team exiting the hot zone. Technical decontamination involves the use of a “corridor” with a gross contaminant reduction section followed by a series of wash-and-rinse stations. Once the HazMat tactical technicians have secured the area, they will need to perform an effective decontamination of the chemical(s) present. FAST-ACT (First Applied Sorbent Treatment – Against Chemical Threats) is a proprietary formulation of non-toxic nano-materials effective for neutralizing a wide range of toxic chemicals with the added capability to destroy chemical warfare agents. Chemical spills can be in the form of a gas, liquid, solid, fumes, dust, fibers, or vapors. Depending on the type of chemical spill present, HazMat and first responders must choose the correct method to apply to decontaminate the spill. 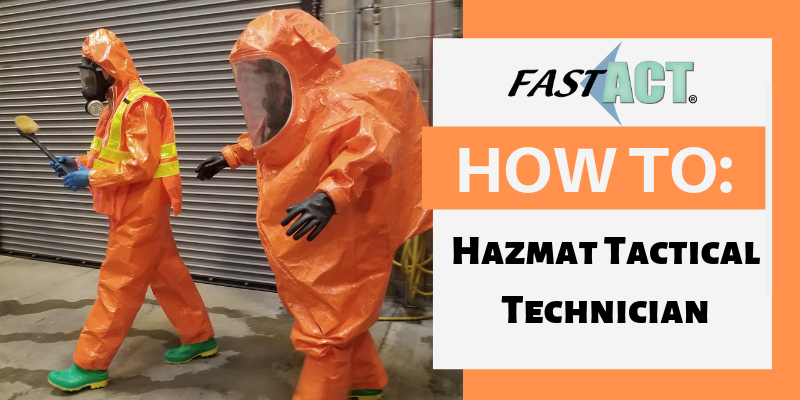 FAST-ACT, however, is able to decontaminate a broad spectrum of chemical spills, from liquid to vapor releases through a wide range of product offerings. Therefore, FAST-ACT will be the desired decontamination solution for chemical spill clean-ups, as it can be safely applied to any liquid spill or vapor release enabling Emergency Responders to utilize one technology when faced with a variety of known or unknown chemical hazards. 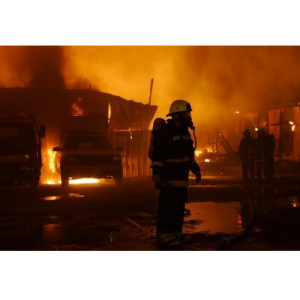 Fire departments are often tasked with handling emergency activities that can present to the responding firefighters a varying degree of risk and danger depending on the situation at hand. Rapid intervention teams (RIT), rapid intervention companies (RIC), and firefighter assist and search teams (FAST) all serve the same purpose to fire departments. They are there to facilitate their fellow firefighters who have become lost, trapped, or injured during a responding incident. The potential possibilities that may undergo a fire department upon a responding call can be dangerous and downright deadly. Sometimes incidents will occur that leaves a firefighter trapped or lost in an environment while on scene of an incident. When a frightening situation like that happens the RIT or FAST is called to be of service and aid in the issue present to the responding fire department and firefighters. 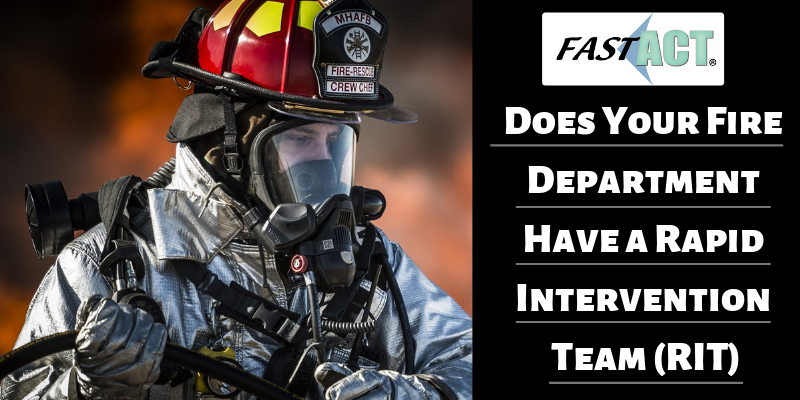 What are the responsibilities of the Rapid Intervention Team and why is it important to integrate (RIT) or (FAST) within your fire department? Find out by reading down below! Rapid intervention team is a team of two or more firefighters that are solely dedicated to the search and rescue of other firefighters in danger or distress. Many fire departments spend quite a bit of time on training rapid intervention teams (RITs) and a lot of information has been presented via websites and magazines on different tools and techniques that go along with the overall RIT operations. This type of team is a critical fireground function that is needed to be established by clear guidelines that are consistent with the need of the operation and the Incident Commander (IC). 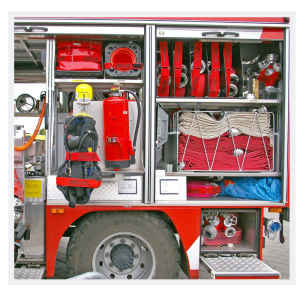 A fire departments RIT should be fully equipped with all appropriate Personal Protection Equipment (PPE) including protective clothing, gear, SCBA and specialized rescue equipment needed based on the specific operation they are facing at hand. Fire rescue and the establishment of RIT is not something new for fire departments. Rapid intervention teams can be traced all the way back to 1915 in New York City, where the earliest attempts of forming and organizing a group like RIT came to develop. The concept originated in March 1915, with trapped firefighters in an incident that needed rescuing from the environment. This went on to progress in the late 1960s and early 1970s with London Fire Brigade who developed “Emergency Teams” that were equipped with emergency supplies such as air supply equipment and air transfer lines. Eventually this formed into the “buddy system” or “two-in/two-out rule” – this requires four people to assemble prior to entry, where two people would remain outside to provide immediate assistance to the two inside if they required support. Ultimately, it was determined that if RIT is not in place or cannot perform in a safe and timely manner, it is possible that firefighters may die or be seriously injured. Thus, the forming of a rapid intervention team is critical for protecting the lives and health of responding firefighters. The importance of assigning responsibilities to RIT members is critical before entering into an incident scene. Outlining a layout of responsibilities should be done through the use of riding assignments. This will help give direction to the responding firefighters as they will know prior to arrival that they will be operating as the RIT on scene, either because they were specifically dispatched as RIT or through department operating guidelines that assigned the RIT to a company based on the arrival order to the area. All firefighter trucks and company trucks in the department carry a basic complement of RIT equipment. As we mentioned above, the key pieces of rapid intervention team equipment include a set of irons, a 200’ RIT tagline, a thermal imagining camera, a Scott Pak-Tracker firefighter locator, and an additional RIT air supply. This array of equipment is also carried by the chief and safety chief’s vehicle to ensure that there are adequate supplies of the equipment when arriving to the scene for the first-arriving RIT companies. RIT equipment is a topic that sparks a lot of talk and discussion. Beyond the basic equipment for rapid intervention teams, the second RIT truck has an entire set of truck company equipment at its disposal if needed by the responding team. The RIT is no place for inexperienced and untrained firefighters, as they are left to deal with extreme situations and circumstances that will require extensive knowledge and experience to conduct an effective solution for the incident. Ultimately, these firefighters should be the best trained, best equipped, psychologically hardened and physically fit individuals to be an effective member of RIT. Each and every RIT situation will be different from the next, and therefore having a seasoned firefighter as part of the RIT will be pertinent to the safety of the environment and the firefighters in distress. And dealing with entrapped, entanglements, floor collapses, confined space, above ground level and below ground level rescuing. Another situation in which a rapid intervention team may respond to is that of a chemical release or spill. Chemical releases can occur from a variety of reasons including laboratory spill, chemical release accident, or even a chemical attack. When a chemical release takes place there will be numerous emergency responders called to the scene of the incident including the police, ambulance, fire department, HAZMAT, and RIT. This type of release can be significantly impactful to an environment and to the individuals present within this environment. Therefore, an excess amount of emergency responders is called to the scene including specialty responders such as HAZMAT and RIT. Decontaminating a chemical release is a very difficult and time-consuming process that requires extensive knowledge of chemicals to be able to identify the chemical released and the best method to decontaminate this chemical. Typically, identifying a chemical requires detectors and the use of an ABC-spill kit to decontaminate the chemical depending on the specific chemical. Although this process works effectively it can be very time-consuming during an incident that needs immediate action. FAST-ACT® is a proprietary formulation of non-toxic high-performance specialty materials effective at neutralizing a wide range of toxic chemicals with the added capability to destroy chemical warfare agents. The FAST-ACT formulation is non-flammable, non-corrosive, and significantly reduces both liquid and vapor hazards. 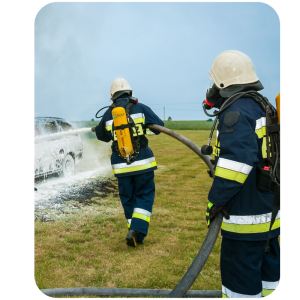 Since the dry powder neutralizes threats upon contact, on-site incident management and clean up times are reduced. FAST-ACT can be safely applied to any liquid spill or vapor release enabling Emergency Responders to utilize one technology when faced with a wide variety of known or unknown chemical hazards. The field of emergency response is full of gray areas and unknowns, with very little time to prepare for the incident at hand. Emergency responders and HAZMAT teams must make rapid decision making upon an incident scene, thus training and preparations for a wide array of incidents and hazardous issues is required for these individuals. Each and every day these workers will experience a new round of incidents and scenarios that they must respond to including response to hazardous and unidentified materials. An unidentified materials incident is a hazmat scene in which a material is present but is unable to be identified prior to a response strategy being applied. This type of situation can be extremely dangerous for HAZMAT and emergency responders and will require preparation & planning of a response strategy before this unknown incident occurs in the field. What are the different levels of HAZMAT response and how can emergency responders appropriately and effectively respond to an unidentified materials incident? Find out by reading more below! HAZMAT stands for the abbreviations “Hazardous Materials” – which are substances in quantities or forms that can pose a major risk to human health, property, or the environment. The typical substances that are classified as ‘hazardous materials’ include toxic chemicals, fuels, nuclear waste products, and other CBRN agents. 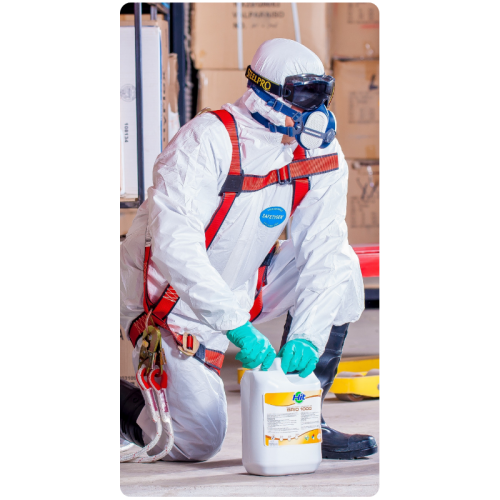 The likelihood of a HAZMAT incident is more likely than you may have thought, as many products containing hazardous chemicals are routinely stored and used in homes. Furthermore, these materials are also commonly transported every day on highways, railroads, waterways, and even pipelines. Unfortunately, thousands of HAZMAT incidents occur each year and can result in significant damage to the environment and public health. When a hazardous materials incident occurs, it is the duty of HAZMAT teams and emergency responders to contain, neutralize, and decontaminate the materials present. This is with the goal in mind of securing the area and the safety of humans within the area of the affected incident. A Hazardous Materials Response Team has a set of operational tasks that they are designated to perform. This organized group of hazardous materials technicians that respond to hazardous materials incidents deal with the use of Weapons of Mass Destruction (WMD) and other dangerous materials that may become present in the environment due to an accident, leak, or an attack. The mission of the HAZMAT Response Team is to ultimately control the spill and eliminate any imminent hazard to the public, and this response will range per situation. 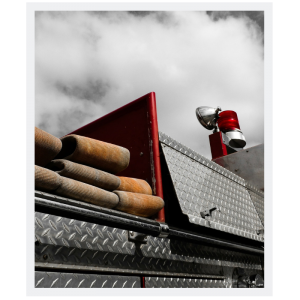 The three most common HAZMAT situations that are typically responded to by emergency responders includes an incident involving hydrocarbons, narcotics and clandestine drug labs, and common household product incidents. These three different situations each require different response strategies to effectively contain and clear the environment. Below we are going to discuss the different levels of HAZMAT response per situation. Generally, there are four different levels of HAZMAT response for hazardous materials. These four levels include awareness, operations, technicians, and specialists. The awareness level of HAZMAT is the most basic and is designed for a person who in the course of their normal activities or duties, may be the first person on the scene of an emergency involving HAZMAT or CBRNe agents. The responders at this level are expected to understand and be able to detect the presence of these materials. An awareness level certification can be obtained from a university, medical center, and from FEMA through exams. 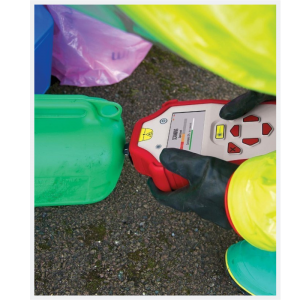 An operational level responder is those who respond to releases or potential releases of hazardous materials or CBRNe as an initial response to the incident to help protect nearby individuals and the environment. Operational level responders are expected to respond in a defensive fashion to control the release from a safe distance to keep it from spreading. In comparison to the awareness level, operations level requires a more hands-on approach to an incident of this nature. They will also be responsible for performing evacuations and establishing hazard zones. 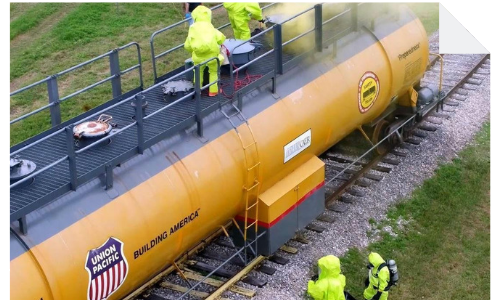 To achieve operations level, responders are trained in such HAZMAT/CBRNe defensive techniques such as absorption, damming, diking, diverting, retention vapor dispersion, and suppression. This includes workers such as firefighters, environmental and conservation personnel, and other public safety personnel. A highly specialized and technical level, the technician level has responders that take offensive action in responding to HAZMAT releases for the purpose of controlling the release. 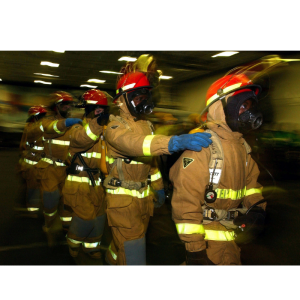 At this level, the responders are classified as HAZMAT Technicians and are supposed to use specialize chemical PPE. On average, training for HAZMAT Technicians is 40 hours, and they are to have a strong background or understanding of basic chemistry. The highest level of HAZMAT response, the specialist responder has a very extensive and advanced level of knowledge in chemistry, biology, and other science disciplines. The specialist responders work with technician level responders to take a hands-on approach in controlling a hazardous release. In some instances, these responders serve as trouble-shooters at HAZMAT/CBRNe incidents. Training to be certified as a Specialist level is 24 hours and must contain a college degree. What can HAZMAT and emergency responders do when they come across an unknown HAZMAT materials incident? Handling a situation of this magnitude can be very dangerous and extremely hard to contain. However, new and emerging technology has aided in situations just like this – with new detectors that are able to identify unknown gases and vapors in nearly minutes. Although this is a quick response time, sometimes it may be a couple minutes too long and risk the safety and containment of the unidentifiable hazardous material. When HAZMAT comes upon an incident, they will need to immediately take action, even if they are not necessarily sure what the material is in question. FAST-ACT® is a proprietary formulation of non-toxic high-performance specialty materials effective at neutralizing a wide range of toxic chemicals with the added capability to destroy chemical warfare agents. The FAST-ACT formulation is non-flammable, non-corrosive, and significantly reduces both liquid and vapor hazards. Since the dry powder neutralizes threats upon contact, on-site incident management and clean up times are reduced. 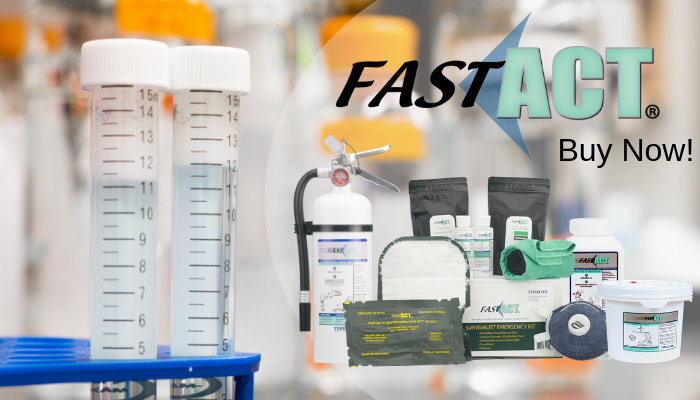 FAST-ACT is offered in pressurized cylinders capable of addressing both liquid and vapor hazards, manually dispersed containers, kits for liquid hazard treatment, and mitts for equipment and small scale decontamination. FAST-ACT can be safely applied to any liquid spill or vapor release enabling Emergency Responders to utilize one technology when faced with a wide variety of known or unknown chemical hazards. The chemical compound Refrigerant is used in several methods in the industrial manufacturing business – and is something commonly found in most environments including your home and businesses. This compound is typically found in either a fluid or gaseous state and it readily absorbs heat from the environment providing functions such as refrigeration or air conditioning when used in correlation with a compressor or evaporator. The term “Refrigerant” is a brand name that incorporates a range of chemical elements referred to as ‘chlorofluorocarbons’ which includes the chemicals hydrogen, carbon, fluorine, and chlorine in its composition. The use of this chemical amalgam, however, has presented potential health risks and environment hazards for humans and even first-responders who are called upon to respond to accidents or leaks involving refrigerants. Refrigerant leaks or ammonia compressor leaks can be significantly hazardous as the characteristics of this type of leak can be extremely hard to distinguish upon contact. 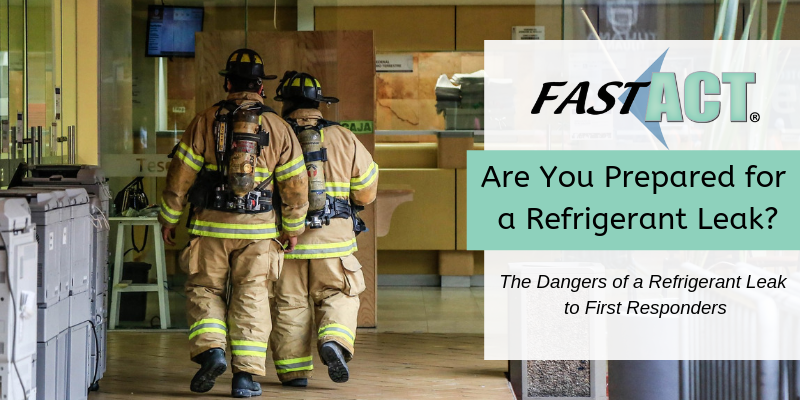 We are going to discuss the potential dangers of a refrigerant leak to first responders and overall human exposure and how you can prepare in defense to a possible refrigerant leak. 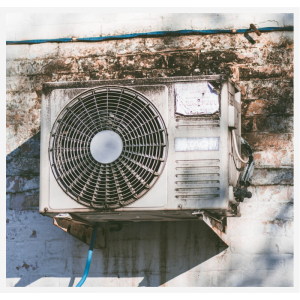 Air conditioners, refrigerators, or heat pumps contain a sealed refrigerant system that contains this chemical in quantities that should never runout. An air conditioning system uses refrigerant inside the copper coils and as this chemical absorbs heat from indoor air it will begin a transition from a low-pressure gas to a high-pressure liquid. The air conditioning unit sends the refrigerant outside where the fan is blowing out hot air over the coils and exhausts it to the exterior. This process is used in both a/c units and refrigerators as they take heat energy out and transfer it from one place to another. During this process, however, incidents can occur such as leaks that can leave a potentially dangerous situation for first-responders and hazmat personnel. The actions that need to take place during a refrigerant leak, particularly a catastrophic leak, need to be executed swiftly and effectively. First-responders and hazmat personnel will conduct response actions when called upon the scene. The building or space affected by the refrigerant leak needs to be evacuated, no matter the severity of the chemical leak. The undistinguishable characteristics of the refrigerant leak such as the amount of refrigerant that has been released from the leak, the location of the leak, and who has been exposed to these hazardous chemicals are typically unknown to emergency responders and thus protocol must be taken to secure the safety of all occupants of the incident area. First-responders that respond to a potential refrigerant leak are required to wear Level A chemical protective clothing and self-contained breathing apparatus (SCBA) to protect themselves during the performed rescue. Once the compressor is turned off and the leaking has subsided, the next course of action is neutralizing the area of the chemical leak. Slow refrigerant leaks usually occur most of the time and are just not called upon to emergency responders, as people are unable to identify this present leak. First-responders will, however, receive calls about slow refrigerant leaks when the system is in a small, un-vented room that has been experiencing a leak for quite a long period of time. The result of this is that the leak pushes all the oxygen out of the room and can lead to an individual that is exposed to this small area to feel sick or pass out upon entry of this area. When a slow leak occurs like this overtime it can leave significant health risks to any individual exposed as the chemicals will continue to build-up inside the environment making the environment have a high level of chemicals in its air. After identification of a small refrigerant leak occurs, the individual will contact 9-1-1 and have emergency responders dispatched out into the area. When emergency responders enter the incident scene, they will take several factors into consideration before deciding how to respond to the refrigerant leak such as the chemical that is at play in the environment, the concentration of the chemical, and what the current situation is inside the contaminated area. It is important for most first-responders to carry a O2 sensor with them in situations like this where you are trying to identify the current condition of the environment before entering the area. Once emergency responders are prepped with PPE and ready to enter the refrigerant leak area, they will need to evaluate the machinery that is causing the leak to determine what the best course of action is for the situation. Depending on the case itself, first-responders may ventilate the room to help maintain safe levels while keeping the machinery on – whether that be an a/c unit, refrigerator, etc. They may also decide to shut down the unit but that will vary based on the environment and the intrinsic cost that it could impact. Ultimately, it may be better to leave the system running but the emergency team will evaluate that as they gather information about the refrigerant leak. The refrigerant chemical that has been exposed in the environment will need to be removed from the area properly before occupants can re-enter the space. The process of removing the chemical properties included in a refrigerant can be difficult as the multiple chemistries may require different solutions for decontamination and neutralization. Instead of having to utilize multiple decontamination methods to completely remove the chemical contaminant in the environment (which can be a timely and inefficient process), first-responders should use an all-in-one decontamination solution that works against multiple chemicals. 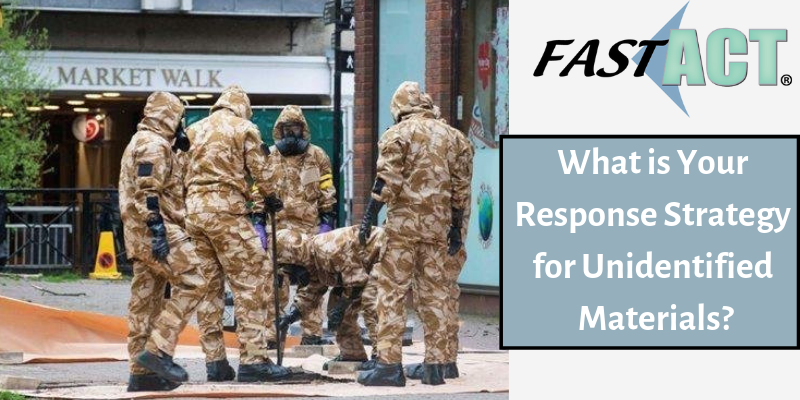 FAST-ACT® is a proprietary formulation of non-toxic high-performance specialty materials effective at neutralizing a wide range of toxic chemicals with the added capability to destroy chemical warfare agents. The FAST-ACT formulation is non-flammable, non-corrosive, and significantly reduces both liquid and vapor hazards. Since the dry powder neutralizes threats upon contact, on-site incident management and clean up times are reduced. The chemical decontamination solution works quickly to significantly reduce hazards associated with common industrial chemicals. The broad range of utility makes FAST-ACT a valuable tool for a variety of environments that can help aid police, fire and other emergency responders to successfully and quickly decontaminate a hazardous chemical threat. Gaining information and awareness of the potential risks that refrigerant leaks pose to an environment is critical, particularly for first responders. When you are responding to an incident involving refrigerant chemicals preparing with protective equipment and decontamination solutions is necessary to properly respond and remediate the situation. Emergency responders and HAZMAT teams are responding to a growing number of calls involving the reported new suicide trend that has been evolving in developed countries. Chemical suicides, also known as “detergent suicides” was first seen in Japan in 2007 and has since spread into other countries like the United States that is responding to a number of these incidents recently – with many emergency responders being called to the scene of chemical suicides. “Detergent Suicides” was the named labeled to this incident by the media because it contains the use of household chemicals that are mixed together to produce a highly toxic concentration of hydrogen sulfide gas. The individuals involved in these incidents will remain in a closed area like a car, small room, or even a closet in the pursuit to receive instant effects both severe and/or deadly. This trend developed online through the availability of instructions that were posted via the web. And has since grown into a devastating trend because of its assumed “painless” option for killing oneself. However, the inherent risks produced from this type of suicide can be dangerous not only to the victim but also to first responders and emergency personnel that enter the scene unprepared or unprotected for a chemical vapor/liquid release. What can emergency response personnel do to become more aware and prepared for chemical suicides? Chemical suicides involve the mixing of common household chemicals that create a deadly hydrogen sulfide (H2S) gas. Hydrogen sulfide is a colorless gas that has a distinct, strong odor of rotten eggs or sulfur. When this chemical turns into a vapor in high concentrations it can be highly dangerous, particularly to first responders who show up to the scene without proper respiratory protection. This chemical is an olfactory nerve paralyzer that can rapidly fatigue one’s sense of smell, even in low volumes. Hydrogen sulfide is constructed by mixing hydrochloric acid with a sulfur-constructed compound. Both of these chemicals are easy to obtain and can be purchased at a local grocery, hardware, or big box store. The chemical, when created, will turn into a gas called asphyxiant that is known to suffocate victims at the cellular level, rendering the cells in the body unable to use oxygen. Empty cleaning supplies, pesticides, etc. The dangers presented to emergency responders upon contact with a chemical suicide is extremely high and due to the nature of the chemicals – as it is usually found as a vapor – can spread rapidly throughout the environment. When the confined space is opened this vapor can seep out and rapidly affect a large area and more important effect those exposed to the chemical vapor. The chemicals used in the chemical suicide can even continue to off-gas for an extended period of time way beyond when the incident took place. If a chemical suicide is suspected, first responders should follow local response guidelines for securing the area and protecting the health of emergency responders. The procedures an emergency responder will take when coming across a chemical suicide crime scene includes the following steps. During the first glimpse at the crime scene, look for alerts and signs of a chemical suicide. 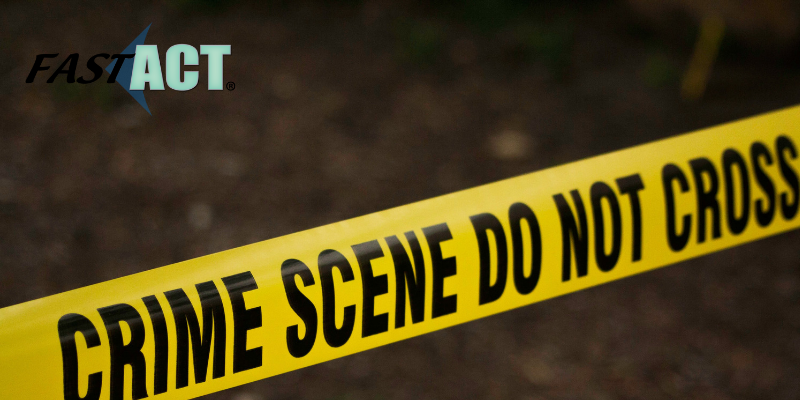 Determining the specific type of crime scene will help responders thoroughly prepare before stepping foot onto the crime scene. If the affected area contains people, it is important to immediately evacuate these individuals. Evaluate the chemical concentration, population size, the size of the affected area, and the wind speed. All of these factors can play a role in the containment and decontamination process. When the area has been secured and analyzed extensively for potential hazards in the area, you will be able to start the ventilation process. The ventilation process should only be handled and conducted by trained and equipped first responders. Also, use air monitoring systems to detect chemical levels still present in the area to help you be aware of toxic chemicals still present. Surfaces and items can be contaminated easily by a chemical liquid/vapor release in an environment. 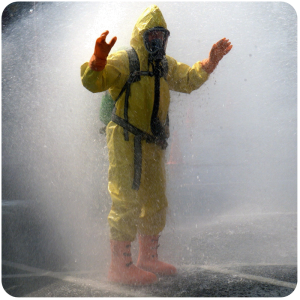 Finding a decontamination solution that is able to quickly and effectively decontaminate both surfaces and air is essential for emergency responders. 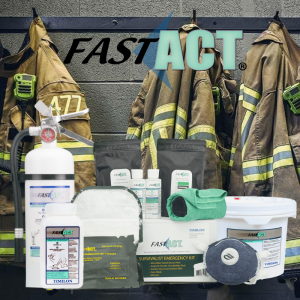 With FAST-ACT all your decontamination needs will be met, and it will help emergency responders act quickly to chemical suicides. 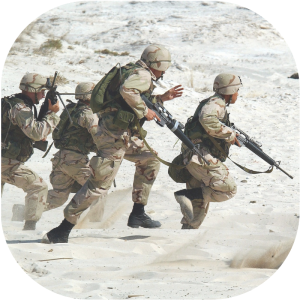 FAST-ACT is a proprietary formulation of non-toxic high-performance specialty materials effective at neutralizing a wide range of toxic chemicals with the added capability to destroy chemical warfare agents. FAST-ACT is offered in pressurized cylinders capable of addressing both liquid and vapor hazards, manually dispersed containers, kits for liquid hazard treatment, and mitts for equipment and small-scale decontamination. FAST-ACT can be safely applied to any liquid spill or vapor release enabling emergency responders to utilize one technology when faced with aa wide variety of known and unknown chemical hazards. There are many chemicals that are used, tested, and sometimes even spilled in a day. If you do not work in a lab or in an environment where different chemicals are present that you may not consider the potential risks these chemicals can place on a group of people or even an area if they are mishandled or spilled accidentally. Every chemical has different risks and dangers – some more significant than others, and thus being prepared in the event that a dangerous chemical is released into the environment is a necessity for overall protection. Who do we turn to when chemicals are accidentally or purposefully released into the environment, and worse when a hazardous chemical like Mercury is the released chemical? Mercury is a shiny, silvery liquid chemical that can cause some serious health problems. When liquid mercury vaporizes at room temperature it will cause an elevation of mercury levels in your indoor air. This chemical is quite hazardous when it becomes a vapor, as it is not irritating, and it has no odor, so people are not even aware that they are breathing it in their body. Even the smallest trace amount of mercury present in the environment can cause harm. The chemical mercury is present in more things than you may have known. It can be used to make thermometers, barometers, and other scientific instruments like blood pressure units and gas pressure regulators. One of the main industrial uses for mercury is in fluorescent lights, where a mercury vapor discharge produces ultraviolet light that then makes the tube coating fluorescent in visible lighting. Mercury is used in very small amounts with a pound of mercury being smaller than a golf ball. Another popular use for mercury today is in dental fillings. All silver-colored fillings are dental amalgam fillings, and each of these fillings is approximately 50% mercury. Although there are many countries that have banned or limited the use of these fillings, there are many countries still using mercury fillings including the USA. Mercury can potentially be a very dangerous chemical, especially when human exposure occurs. The liquid form of mercury is highly hazardous because as it vaporizes at room temperature the air will become filled with tiny, invisible mercury atoms that are both scentless and soluble in fats and oils. When mercury vapor is inhaled into the body, it will easily become absorbed by the body, where it will first get into the lungs and then travel into the blood and brain. The poison released from this nerve chemical can cause sleep disorders, agitation, and paralysis. And scary enough, high dosage of exposure to this chemical can result in a neurological disorder called erethism mercurialis. According to Thomas Gebel, a toxicologist at Germany’s Federal Institute for Occupational Health and Safety in Dortmun, “There are historically documented cases that describe how people’s handwriting changed after being exposed to high levels of mercury”. The first thing you will want to do is to close doors and block off the contaminated area from human exposure. 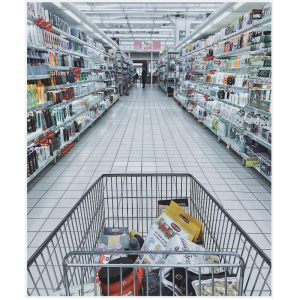 Avoid walking through this area – the less time you spend within the area the less exposure you will have to this hazardous chemical. It’s also important to turn off your HVAC system after a spill occurs. Once the spill takes place it will vaporize into the air and if your air handling system is running it can spread this vapor throughout the whole environment, which is very dangerous. If you find that the mercury vapors are traveling quickly throughout the area you may decide to open windows to help ventilate the affected area. You never know when exactly mercury will become present in your environment but preparing for this potential situation can be extremely beneficial. To prepare you may consider using an air monitoring equipment to help to detect the presence of mercury fumes. Having safety supplies on hand like gloves, goggles, and other appropriate clothing during a mercury response is also crucial to protecting yourself from mercury exposure. There are several important cleaning tips to be aware of before performing a mercury cleanup. Firstly, do not use a regular vacuum to remove the mercury – this will result in the spreading of the chemical throughout the environment. Use a vacuum rated for mercury only, during a response and cleanup process. Also, be on high alert for small droplets of mercury that could have ended up on the surface of the spill. The process of containing and neutralizing the chemical spill is important, especially ensuring that all traces of the chemical are completely removed from the area. Applying a decontamination solution like FAST-ACT will help to contain the presence of mercury in the area. FAST-ACT is a chemical decontamination solution that is both rapidly effective and easy to use to contain a chemical spill or release. The technology is composed of a patented earth mineral formula that is highly reactive against a broad spectrum of chemical agents including CWAs (Chemical Warfare Agents). FAST-ACT can be applied to both liquid and vapor releases – and will help to absorb the mercury chemical from the environment. After the mercury release occurs, it is important to remove any contaminated clothing from your body. Place clothing, shoes, and any other items that were tainted by the mercury in a marked and sealed bag. If your skin came into contact with the mercury you will want to use warm water and anti-dandruff shampoo to remove the chemical from your skin. Anti-dandruff shampoo contains at least 1 percent selenium sulfide which helps to decontaminate mercury. 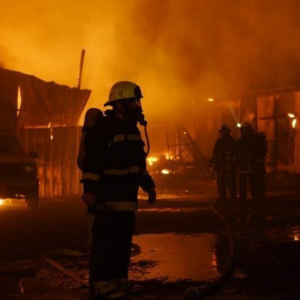 All around the world there is a need for emergency responders, whether in a small or large community or city, to have access to reliable and interoperable CBRNe detectors to protect not only property but also human life. “CBRNe” is the abbreviation that is commonly used to describe the malevolent use of Chemical, Biological, Radiological, Nuclear, & Explosive materials/weapons with the intention to cause mass casualties and destruction. Access to full CBRN protection can be extremely expensive to implement, but with the right CBRN mitigation tools and detection devices, prevention and protection of CBRN threats is achievable. Chemical: Poisoning or injury caused by chemical substances. This can include military Chemical Warfare Agents (CWAs), harmful industrial chemicals, and household chemicals. Biological: Illnesses that are caused by a deliberate release of a hazardous bacteria, virus, or even a biological toxin. Radiological: Illness caused by exposure to harmful radioactive materials. Nuclear: Extreme life-threatening health effects that are caused by exposure to harmful radiation, thermal, or blast arising from a nuclear deployment. Detecting these materials and weapons has been optimized over the last couple of years, with new and improving devices being brought forward for the utilization of emergency responders. These CBRNe detection devices have capabilities that allow for identification and communication of CBRN threats, as well as the capacity to recognize potential CBRNe threats through equipment, education, and effective protocols. Criminal acts, a deliberate dumping or release of hazardous materials to avoid regulatory requirements. A maliciously motivated poisoning of one or more individuals. Or a terrorist act that involves serious violence or brutality to people or property. A CBRN attack differs from a normal terrorist attack significantly in many aspects. CBRN agents cause contamination and specific health hazards depending on the type of agent utilized and the amount of the agent deployed into the environment. Conclusively, CBRN attacks can present complete destruction and mass casualties with the sole intent of harming a whole group of people. Terroristic threats are a dangerous potential crisis for large populations of people. The development and utilization of CBRN weapons has proven a lethal threat and one that must be prepared for heavily. 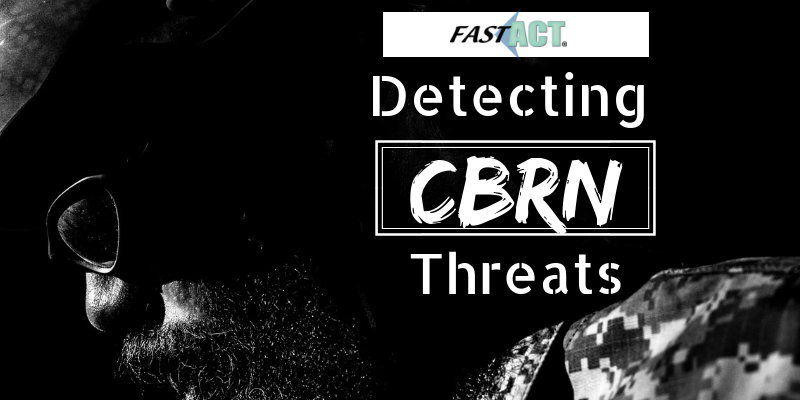 The full extent of the potential CBRN threats cannot be predicted as they can evolve in unanticipated ways depending on a number of outside factors. The unpredictability and uncertainty of these threats can pose a challenge in preparing for a possible CBRN threat. Also, before a CBRN threat occurs, there are no warnings that are initiated prior to the threat, so being alert of potential indicators that may appear is critical. Indicators can occur suddenly and seem out of place such as powders, liquids, or strange smells. Terrorism and terrorist threats has been a main focus for the U.S. government. As of the past decades we have seen a growing recognition that vigilance in preventing terrorist groups from obtaining dangerous weapons, such as CBRN threats, is vital to protecting the health and safety of a large group of individuals. The strategy for countering terrorism is strengthened by counter programs that aim to reduce or abolish CBRN materials produced and stored by states. The use of CBRN materials and the developing expertise of these weapons remains a haunting terrorist threat. Many terrorist groups have stated their intent to acquire, develop, and implement these materials. Within the last couple of years these threats have rung true, as ISIS was found responsible for a hazardous sulfur mustard attack in Syria on August 21, 2015. This attack gave the United States a proactive mission to disrupt and deny ISIS’s CBRN capabilities. What Does a CBRN Specialist Do? Chemical, biological, radiological, and nuclear specialists also known as CBRN or chemical operations specialists, are U.S. Army personnel who are responsible for protecting the country from weapons that fall into any of those categories. Specialists that are called to respond to a disaster will distribute protective gear or enter into impacted areas to begin the decontamination process. The CBRN specialist are trained to manage, train, and maintain protective gear that military members will wear when exposed to CBRN threats. A CBRN specialist protects the country from the threat of these weapons of mass destruction and any weapon of a chemical, biological, radiological, or nuclear type. They plan and use highly advanced equipment in coordination with defense systems that are used against CBRN threats. Chemical agent detection methods will be an essential part of both medical crisis and consequence management. Detection and identification of the chemical agent or agents at the scene of a terrorist incident has to be accomplished but not at the expense of rapid and appropriate medical treatment of chemical casualties. Normally, an incident that involves the release of any chemicals or toxic materials will be categorized as a hazardous materials incident. Therefore, the first emergency responders who arrive on the scene must be capable of determining the Hazmat incident and be able to implement chemical agent detection devices at the scene. Chemical detection equipment that is currently used by Hazmat teams varies considerably by the location. Large metropolitan areas and their current detectors can range from adequate to no capability for CWA detection. However, Hazmat teams are routinely equipped with a variety of chemical detectors and monitoring kits that can provide useful when chemical threats occur in the environment. When a chemical threat is detected in the environment the use of a chemical decontamination solution is needed. Depending on the chemical threat many chemical decon products require a different solution that is needed to apply to the chemical to achieve decontamination – this can be a lengthy process of identifying and decontaminating. However, with the FAST-ACT decontamination products, hazmat and first responders are able to quickly decontaminate a broad spectrum of chemical agents, including CWAs, without having to identify the chemical before deploying the decontamination process. The proprietary technology undergoes a patented process that makes the earth mineral ingredients highly reactive against a broad spectrum of chemicals, adsorbing and neutralizing chemical threats from the surface and air. CBRNe threats and detection devices are a very helpful and effective measure to have when a threat of this magnitude and danger is present to an environment and a population of people. Being prepared and protected with CBRN detection devices will aid in the overall safety of civilians and emergency responders upon the deployment of these potentially deadly CBRN materials. Decontamination is a process of making any person, object, or area safe by absorbing, neutralizing, or destroying chemical agents released in the environment. Chemical Warfare Agents (CWAs) are very complex and destructive agents that can be deployed or released into an area causing significant issues to both public health & overall safety. Chemical agents can be classified as nerve agents, blood agents, choking agents, and TICs (Toxic Industrial Chemical) – each category of chemical agents contain different characteristics that create a lethal concoction. Chemical threats may be dispersed in many different forms ranging from liquid form to vapor form, which can both have their own hazardous effects on the environment, human health, and on decontamination equipment. CWAs in vapor form can penetrate into the interior of decon equipment and damage the equipment if the chemical agent is highly corrosive. Whereas CWAs in liquid form can adhere to a surface, spread over the surface, and penetrate into tiny spaces such as cracks and crevices – this type of adsorption can cause changes to the properties of the material, which can affect the decontamination equipment. Decontamination of chemical threats can be a very challenging process and having the proper equipment and trained personnel can help to accomplish a complete decontamination of a chemical threat. What is the Purpose of Decontamination? 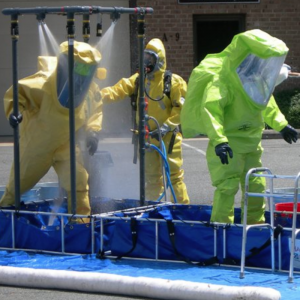 Decontamination is a multi-faceted topic that involves several components including health issues, hazardous materials (HAZMAT) issues, emergency response issues, and crime scene issues. 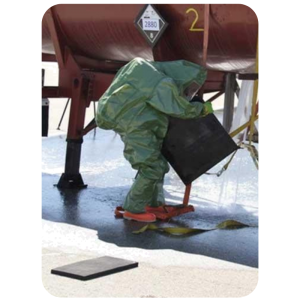 This practice is set in place to facilitate the neutralization or destruction of hazardous chemicals that may get released into an environment. Decontamination practices offer a rapid solution to limiting the spread of contaminants from the “hot zone”, where chemicals affect a specific area. There are many components included in the decontamination process, such as cleaning contaminated victims from a wide spectrum of chemical threats and neutralizing a contaminated area from hazardous materials. Unfortunately, the reality is that often times decon is only conducted as an afterthought after an incident occurs, and because of this, decon can sometimes be dismissed as not an integral or important part of the response procedure. And when decontamination procedures are not implemented it can lead to a very volatile environment that can be significantly hazardous to humans. What are the Basic Principles of Decontamination? Decontamination overall is essential to have for emergency responders, HAZMAT, and military members who are typically the individuals who are exposed to and on the scene at a contaminated area. The resources required to perform a proper and effective decontamination is fairly costly in terms of manpower, time, space and even material, but the benefits that decontamination provide to the safety of the environment and humans is invaluable. The process of decontamination is composed of basic principles to help facilitate a successful decon application – these four basic principles include speed, need, limit, and priority. Of these four principles, speed is amongst the most crucial when it comes to decontamination. Contamination of a chemical threat on personnel or in a specific area can pose an immediate hazard and become lethal within minutes after contamination takes place. Therefore, implementing immediate action and decontamination practices will play a key role in the effect of a chemical release or outbreak. What are the Three Main Levels of Decontamination? Depending on the level of hazard, the amount of the chemical present, and the actual chemical that is at play can all lead to a specific form of decontamination that needs to be activated. There are two categories of decontamination that can be used during a chemical release – Passive or Active Decontamination. Passive decontamination is accomplished by exposing an object to high temperatures, sunlight, and wind, which is a very time-consuming process for decontamination. Whereas active decontamination is a process of removing and neutralizing liquid or solid contamination of CWAs, this is a rapid decontamination solution that most emergency responders will utilize during a chemical release. The active decontamination process is subdivided into three main levels of decontamination – immediate, operational, and thorough. Immediate decontamination: Decon that is performed by the individuals and can include the decontamination of personal clothing and/or equipment. This can save lives, minimize casualties and limit the spread of contamination. It can also be performed on individual protective equipment to sustain personal protection. Operational decontamination: Decon that is performed by an individual and/or unit on a specific part of operational significant equipment. This helps to minimize contact, transfer hazard, and to sustain operations. Thorough decontamination: Decon that is performed by a unit to reduce contamination on personnel, equipment, material, and working areas to the lowest potential level. All three levels of decontamination focus on both personnel decontamination and environment/surface decontamination. The process of decontaminating surfaces can be complex, as there are many factors you must take into consideration before containing and neutralizing the chemical threat. Many decontamination solutions require the identification of the chemical to properly neutralize the chemical threat, and this can be extremely time consuming. 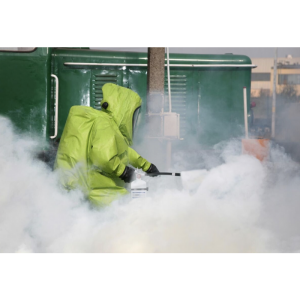 However, with the aid of a universal chemical decontamination solution, emergency-responders can quickly contain and neutralize the environment in which a chemical threat was present. 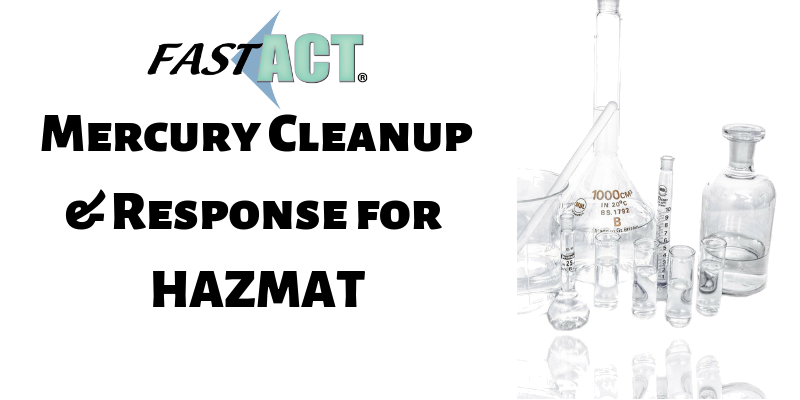 FAST-ACT is a chemical decontamination provider that utilizes a proprietary formulation of non-toxic, high-performance specialty materials effective at neutralizing a wide range of toxic chemicals with the added capability of destroying CWAs. FAST-ACT is revolutionary for liquid/vapor chemical decon with its ability to decontaminate a broad range of chemicals without the need of identifying the chemical at play. Thus, eliminating precious time wasted and minimizing health effects for those exposed. How Do You Decontaminate Someone? Vapor Chemical Threat: A victim that has been exposed to the vapor should rub with either their hands, a soft cloth, or a sponge to remove the contaminants, from head to toe. Liquid Chemical Threat: A victim that has been exposed to the liquid should use soap or a solution of detergent and water can be applied immediately to the skin. Understanding and knowing the processes of implementing decontamination practices can be very vital to an emergency -responder who comes across a contaminated environment. Learning the purpose of decontamination and the best practices will help you to minimize the risks and contain a hazardous situation. Chemical threats, an increasingly prepared for and prevalent form of attack, has become significantly highlighted to first-responders, military, and hazmat teams. The term CBRNe is a widely known and popular term for medical professionals and military defense individuals. CBRNe involves chemical threats as the ‘C’ that is found in CBRNe. The risks of chemical threats have come from recent terrorist attacks that have deployed the use of toxic and hazardous chemical agents. Chemical agents can include common chemicals utilized in laboratories (TICs), as well as deadly chemical warfare agents (CWAs). Among the different weapons categorized as Weapons of Mass Destruction (WMD), chemical warfare is identified as one of the most dangerous weapons created by mankind that can create utter brutality upon deployment. Chemical threats are extremely hazardous chemicals that can be dispersed as a gas, liquid, or aerosol that spreads aggressively throughout the environment. Chemical threats have been one of the key weapons used in Syria over the last few years, as the conflict among the Ba’athist Syrian Arab Republic and foreign/domestic allies continues to rage on throughout the Country. These recent attacks have highlighted the strength and brutality of chemical threats, leaving many countries grasping for solutions and protection strategies to implement for a possible chemical agent threat upon their area. CBRNe education and training has become a much needed and explored topic after recent chemical threats, with many fields quickly adopting this specific training into their environment. What Does CBRNe Stand for? CBRNe is an acronym for Chemical, Biological, Radiological, Nuclear, and high yield Explosives. The weapons classified under this acronym all have the ability to create extremely hazardous conditions that can lead to mass casualties and disrupt society completely. CBRNe events are commonly comprised of deliberate or aggressive acts, with the malicious intent of inciting fear or causing grave harm to humans and the environment. Emergency responders are being taught how to recognize and mitigate attacks from such weapons and learning the key identifying characteristics between the different CBRNe weapons. The characteristics of CBRNe weapons are found below. Chemical Threats: Chemical threats consist of weapons that utilize a hazardous chemical that is designed to cause intentional death or harm through its toxic properties. 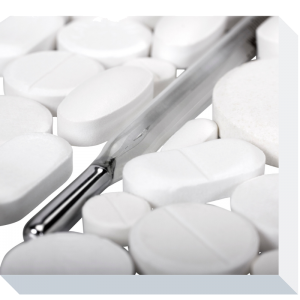 The four different types of chemical agents include choking agents, blister agents, blood agents, and nerve agents. This chemical threat has a direct effect on many human organs and systems including the respiratory system, lungs, heart, and skin. Symptoms that can occur upon exposure to a chemical agent includes watery eyes, itching, coughing, difficulty swallowing, difficulty breathing, chest pain, dizziness, nausea, and potentially death. Biological Threats: A biological weapon, also called germ weapon, is any number of disease-producing agents such as bacteria, viruses, fungi, toxins, and other biological agents, that can be used as a weapon against humans. Lethal biological weapons are capable of causing mass deaths upon humans and have been responsible for more deaths than from those employed by combat. There are five different categories of biological agents including bacteria, rickettsia, viruses, fungi, and toxins. The symptoms a human may experience from a biological threat can range depending on the different category of biological agent. Radiological Threats: Radiological threats are weapons that disperse radioactive agents to inflict injury or cause contamination and damage. A commonly used radiological threat is the dirty bomb, which utilizes a conventional explosion to disperse radioactive contaminants into an environment. The effects of radiological threats upon the health of an individual can vary depending on the intensity, duration, and type of radiation. Symptoms from this classification of warfare can include nausea, vomiting, fatigue, fever, diarrhea, infection, bleeding, gastrointestinal symptoms, and even death. Nuclear Threats: Nuclear weapons are devices designed to release energy in an explosive manner as a result of nuclear fission, nuclear fusion, or a combination of the two. This classification of weapon can lead to extreme danger to human health. Explosive Threats: An explosive weapon generally uses high explosives to project a blast and fragmentation from the point of detonation. Explosive weapons can lead to mass casualties in the affected area. 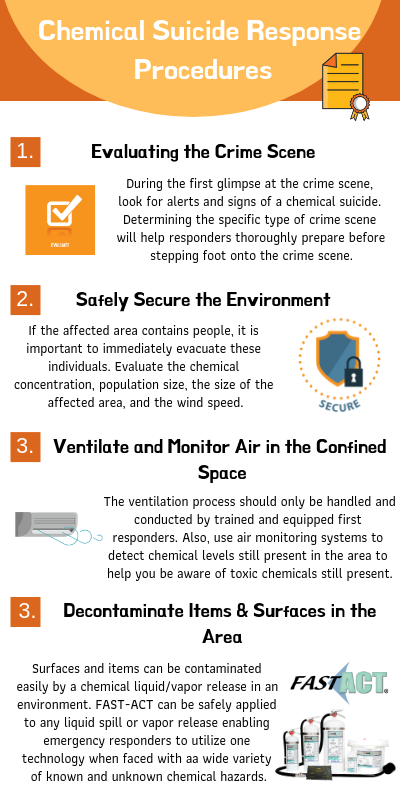 What is a CBRN Attack? CBRNe attacks can happen either accidentally or intentionally – but no matter the circumstance the effects are bound to be grave. An accidental CBRN attack is typically caused by human error, natural, or technological reasons. This can include spills, accidental releases, or leakages that cause the incident to occur. When an accident occurs with these weapons it is usually referred to as DG or a HAZMAT accident. Whereas intentional CBRN incidents involve criminal acts, maliciously motivated poisoning of an individual, or a terrorist attack or act. An intentional CBRN attack can leave great devastation after deployment, with a calculated plan to harm a large area with many individuals present when the attack occurs. 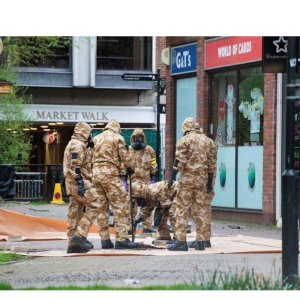 These weapons are usually described as ‘low probability, high risk’, because of the relatively low risk of a CBRNe attack occurring but the high threat risk to public health upon an attack taking place in the environment. The severity of an attack is dependent upon several different factors, particularly the toxicity of the chemical and its concentration when it reaches people. The release of a chemical agent or a chemical attack in an enclosed space (such as a subway, airport, or an office space) could deliver lethal doses, high enough to severely hurt or kill a large group of people. In comparison, when a chemical attack is deployed in an open area, a toxic chemical cloud, or plume, would become less concentrated as it spreads and would have to be released in a large quantity to produce significant casualties. 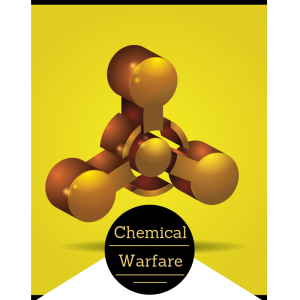 Immediate health impacts can start to effect humans upon exposure to a chemical agent that has been deployed during a chemical attack. Symptoms from exposure to toxic chemicals will start to appear quickly, sometimes a couple hours or even a couple minutes following exposure. The health risks alone from a chemical attack solidify the strength and devastation that a chemical attack can wreak over an environment. Terrorism or terrorist attacks that involve the use of CBRNe materials pose a very real and dangerous threat to public health and safety. 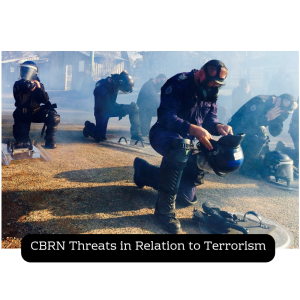 Terroristic threats utilizing CBRNe weapons can also impact national security, economic, and political stability on a global level. When these types of weapons are deployed in an act of terrorism, the complete destruction could be insurmountable – leading to unrepairable effects on the human population and environment. Preventing the risks of chemical, biological, radiological, and nuclear (CBRN) weapons has been a top U.S. national security priority for a long period of time. The United States has become hyperaware and vigilant in preventing terrorist groups from obtaining these weapons to protect U.S. civilians. The main used devices for terrorist attacks include chemical, biological, and radiological weapons. What are Chemical, Biological, and Radiological Devices? CBR (Chemical, Biological, and Radiological) devices are without a doubt dangerous threats to public health and safety. Chemical, Biological, and Radiological devices produce airborne hazardous contaminants that can be in the form of gases, vapors, or aerosols. These types of airborne contaminants can be very dangerous as they enter the body rapidly and impact health within hours or even minutes after exposure. Decontamination providers have focused on providing a means to protect individuals who are exposed and decontaminate the source of hazard in the environments. The way that these decontamination solutions are delivered to the appropriate field workers and experts (such as the Military, Emergency-Responders, and Hazmat) is through CBRN Specialists. The specialist has many job duties including assisting in CBRN defense measures, provide training advice and supervision of CBRN equipment, & operate CBRN detection and decon equipment. The CBRN specialists’ job is quite complex and vital to the safety of a large population of people in the country, therefore, having efficient and easily deployed decon solutions is critical for the CBRN specialist. For example, a decontamination solution for chemical warfare such as FAST-ACT can help a CBRN specialist, especially given the fact that FAST-ACT does not require identification of the chemical deployed in the environment. 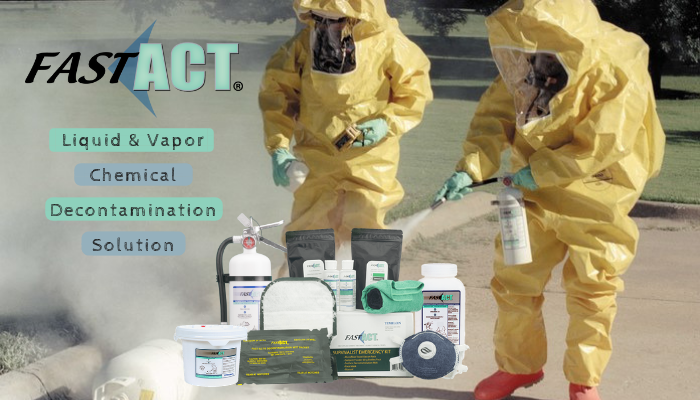 FAST-ACT is a decontamination provider that utilizes a proprietary formulation that is able to break down and neutralize a broad spectrum of chemical agents including chemical warfare agents (CWAs). The FAST-ACT technology is adapted into several different applications for both liquid and vapor chemical hazard containment and decontamination.